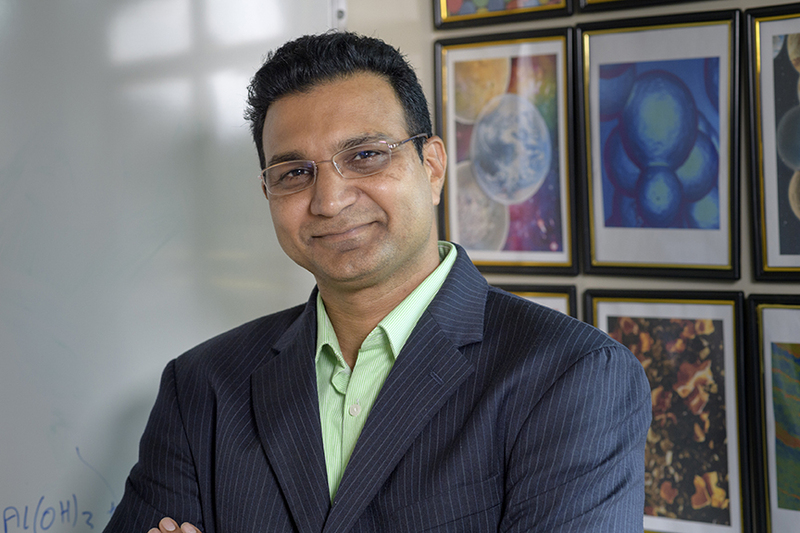 Davidson School of Chemical Engineering Professor Vilas Pol has been selected to receive The American Ceramic Society's Richard M. Fulrath Award - American Academic. The award will be presented at the Honors and Awards Banquet at the American Ceramic Society (ACerS) 121st Annual Meeting on September 30, 2019 in Portland, Oregon. Davidson School of Chemical Engineering Professor Vilas Pol has been selected to receive The American Ceramic Society’s Richard M. Fulrath Award – American Academic. The award will be presented at the Honors and Awards Banquet at the American Ceramic Society (ACerS) 121st Annual Meeting on September 30, 2019 in Portland, Oregon. The Fulrath Awards were created in 1978 to promote technical and personal friendships between professional Japanese and American ceramic engineers and scientists, and to encourage a greater understanding among the diverse cultures surrounding the Pacific Rim. Only five Fulrath Awards are presented annually: one American academic, one Japanese academic; one American industrial; and two Japanese industrial. Dr. Pol was unanimously selected for the Fulrath Award – American Academic for his demonstrated excellence in the research and development of ceramic sciences and materials by the ACerS Board of Directors. His originated, innovative solvent-free “Autogenic Chemical Reactions” approach created myriad fascinating functional ceramic architectures. His understanding of their complex formation mechanism and physico-chemical properties led to testing of these ceramic architectures as electrodes for advanced electrochemical energy storage devices. As a recipient of the Fulrath Award, Dr. Pol will present a paper at the Materials Science & Technology Conference and Exhibition – MS&T’19, which will be combined with the ACerS annual meeting. Additionally, Dr. Pol will attend the annual meeting of the Ceramic Society of Japan the following year, and present a paper at that meeting. While in Japan, Dr. Pol will visit universities and industrial laboratories, and present seminars as arranged by the Japanese Fulrath Memorial Association Committee to enhance and strengthen his Japanese collaborations. To stimulate “Bridge across the Pacific,” Dr. Pol collaborates with many Japanese researchers including Dr. Ariga Katsuhiko (Director of Supermolecules Group), Dr. Lok Kumar Shrestha and Dr. Joel Henzie at National Institute for Materials Science (NIMS), Tsukuba, Japan. His active collaborations resulted into numerous journal publications and a Japanese issued patent. Dr. Pol was a visiting faculty at NIMS during Oct. 2013 to Dec. 2013 before joining Purdue University in Jan. 2014.